Variable-speed pool pumps are the ultimate way to save energy. 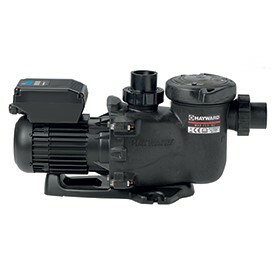 Most other variable-speed models, however, are oversized when compared to medium-head pool pumps such as Hayward’s MaxFlo™ Series. The all-new MaxFlo™ VS is right-sized, particularly for applications with 40mm or 50mm plumbing, providing tremendous energy savings that result in an even faster return on investment.